MENTOR, OHIO -- On April 4, 2006 my husband and I decided to invest in a good quality digital camera to celebrate our daughter's 1st birthday. Today I regret making that mistake. We purchased it at the Best Buy in Iselin, NJ. It was the Canon Powershot SD630 for $399.99. To make sure nothing happened to our camera, we added on the 4 year Performance Service Plan for $59.99. What a stupid idea that was. On 7/14/09 our camera decided it was tired of taking pictures. I turned it on, the lens came out, and then the black screen of death "Lens error restart camera". So I hit the power button and nothing. Took the battery out for a little while. Put it back in, still nothing except this grinding sound and the lens would not go back into the camera. So off to Best Buy we go. I was under the impression that they were going to fix it there. That's how the people at 1-800-BestBuy made it sound, but it wasn't. It had to be shipped away. Estimated time of completion of the repair 7/26/09. Thursday 7/23/09: I get a call from Precision, the people who have my camera, telling me that my warranty was void because of impact damage. What impact damage you say? Well I said the same thing because when I dropped off my beloved Canon, sure it had some scraps. After all it was 3 years 3 months 10 days, old but there was no impact damage. So they are no help, it was like talking to a wall. So I call Best Buy. I wish I would have caught this guy's names but I didn't, and he said not to worry. They would take care of it since after all on the service order it says "minor wear & tear", nothing about impact damage. Friday 7/24/09: Yet another call from Precision damage asking if I made a decision about paying the $155 to repair the camera. I informed her that I had spoken to BB the day prior and they said they would cover it, come to find out she had no clue what I was talking about. So yup you guessed it, another call to Best Buy. This time I spoke with **. He was the one that checked in the camera on the 14th. He said he would look into it further and give me a call back tomorrow. Saturday 7/25/09: ** calls, says he just got off the phone with Precision and that they are sticking their ground. They sent over some pictures showing the damage. He said the damage was obvious and that he definitely did not see that damage when I dropped it off or it would have be noted under the "condition" on the service order. He told me to call Precision which I had already spoke to twice and they were no help, putting all the blame on Best Buy, and to call corporate and that I could use his name and tell them that when it was dropped off that the damage was not there. Thanks ** but your word mean ** to Best Buy come to find out later on. Monday 7/27/09: Out of pure boredom and anxiousness to get to the bottom of this I call the 1-800-BESTBUY number at 12:35am and they are open. I speak with a really nice & understand **. For the life of me, I could find one of my papers that had a number they needed. So I find it and call back at 12:50am. Speak with **. He took down all necessary information and told me that if in fact that is what happened there shouldn't be a problem and corporate would take care of it when I called back during normal business hours. Boy was he wrong!!! 10:30am call the 800 number again, ask to speak to corporate. Of course they can't just do that. They have to transfer you to someone else after you just explained the whole situation to only explain it again to get told that you have to call a different number. So I call. It's about 10:35am now. Finally get in touch with **. In a nutshell she told me I was responsible for the repairs because my warranty did not cover impact damage which I COMPLETELY understand. But the impact damage was not done while the camera was in my care. Since I had no proof that I did not do that damage there was nothing they could do. I asked her what kind of proof did she need because Best Buy's employee ** told me that I could use his name and tell them what he said about there not being damage on the camera when I dropped it off. Well that wasn't enough, she wanted pictures HAH. And how exactly was I supposed to do that when I am dropping off my camera to be repaired. Does she not know we are in a recession. I don't have multiple cameras to choose from. So she offered to split the cost of the repair. Hmmm I think not. why should I have to pay for damage that Best Buy did?? PHOENIX, ARIZONA -- I purchased a Canon Digital Camera at Best Buy, with "assistance" from one of their sales people. It was about a 10 minute process, and in the course of it, the memory card slot of the camera was discussed... Because I own a number of CF memory cards (used with another Canon Elph camera) and wanted to be sure they were compatible. I was assured that they were. So, again, I made the purchase... and was happy for about 3 minutes, the walk to my car. Then, I opened the new camera box, tried to insert my memory card... and found it was an SD slot, completely incompatible. I walked back into the store to return the camera (here's where it gets good/bad) and was informed there was a 15% restocking fee. Because I now, apparently, within 4 minutes, owned a "used" camera that the Best Buy salesperson had misrepresented. So, their policy was that I was paying approximately $30 for the privilege of being misled by them. I spoke to every manager available, I guess to the "top"... and they were totally inflexible, no satisfaction, nothing, the $30 gone. I then wrote to Best Buy corporate online... same. No apology, no credit toward something else, no satisfaction. They had my $30, for nothing, and they were keeping it. I suppose there's some responsibility on the customer to be clear what they want in a product; so you could say I was at fault there. Except, I did ask the right question... and then was misinformed. I guess you could say I should have checked the box, presumably the card type was written somewhere. But, my mistake was trusting Best Buy and their employee, their service, their integrity. I was on vacation, I was in a hurry. So, bottom line, on principle, I would suggest NOT buying at Best Buy. They're obviously so "mega" that they have no interest in customer service, and no real interest in having competent staff. MELBOURNE FLORIDA -- I normally research my products before purchasing and never had an issue with my items. In this case, our teenagers have a music recital and 2 hours beforehand, our Sony Cybershot camera malfunctioned. Since the camera was 4 years old, I had no problem with purchasing a new one without researching the product. I went to the Best Buy in Melbourne FL and spoke with a salesperson and stated I needed a camera with a good optical zoom and outstanding picture-taking capability. Movie capture would be nice but not foremost when purchasing. I have been a Sony guy for almost 2 decades and have been usually pleased with their products. But the cameras have fallen short of their competitors, namely price and functionality, so I knew I would be selecting another manufacturer. I was engaging in a conversation with a salesperson, explained what I needed, price point ($400), my lack of research, etc. We looked at the Samsung, Nikons, Sonys, etc. The salesperson stated that Sony was bad and Nikons had the best value for the money. He also stated that I had a full 30 days, no questions asked return policy, if the unit did not meet our needs. I felt comfortable with the 30 day return policy and purchased the Nikon. The camera was OK and after 3 weeks, I couldn't justify the cost because the zoom wasn't strong enough and there seemed to be chroming around the images (I am not a pro photographer). I brought the camera back, all original (used 3x less than 5 minutes each time) and was charged a $45.00 restocking fee. My argument on the restocking fee was that the salesperson said a full 30 day no question asked return policy. The GM of the store pointed to the sign in back of customer service where a myriad of info was located that stated only 14 day return policy and restocking fee applied. My response was that an individual who purchases items from a store is not going to stop by customer service to validate a return policy when a store employee provides the info. The info was on the back of the receipt as well but I never looked at the back of the receipt and normally never do. I called the corporate number, disputed the restocking fee with my Credit Card and got nowhere. Conclusion - I don't need to purchase anything from Best Buy and don't plan on doing so again in the future. Amazon and other online retailers provide a much better price anyway. I sincerely hope that Best Buy is sued into bankruptcy and when that happens (not if), I'll be enjoying every minute of their ruination based primarily on their inept salespeople and lack of customer service. Note: I'm a corporate professional who understands the meaning of profit, financial statements, management statements, etc. But, if a representative of a firm provides faulty info to a consumer, the firm should and will be held liable. We are a distributor. We purchased and shipped these security cameras to our customer and they did not work out. Our customer shipped them back to us. By the time we called Best Buy to get a return shipping label, it was 17 days. They have a 15 day return policy which is very poor. I sat on the phone for over an hour and spoke to 4 different people who would not help me out. I do not recommend ever making a purchase from Best Buy even if it saves you a few bucks. They do not know the meaning of customer service and going above and beyond in certain situations. All the other bad reviews on this place says it all! Don't deal with them! 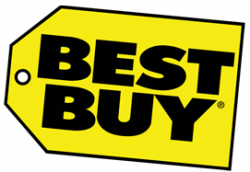 READING, PENNSYLVANIA -- Best Buy is by far the most deceitful company I have ever bought a product from. I purchased a camera from them for almost $900, and even though I paid it off before the interest would have been applied (18 months later), I was slapped with several hundred dollars in other fees during the process. Now that my account is paid off, they are telling me I still owe another approximately $150 to them. But from where? This company is in the business of squeezing every penny out of their customers that they can. On top of that, no one could ever give me a straight answer to any of my financial questions. And when I got some sort of answer, it was always different from what the last person had told me. Overall, I am disgusted with this company and I will never be purchasing anything through them again. THOUSAND OAKS, CALIFORNIA -- Promises made to accept product (Nikon Camera) for return was not kept. Personnel lied, made false statements and cheated. Purchase made with promise gift returnable after Xmas. When returned Jessica returns manager tore seal to open box and tore top of box. She then pointed to tear and said the tear she just made shows the box was opened. Brandon stated by phone camera could be returned after Xmas but after Jessica went over to him and whispered something he came up and denied what he had said. Letter to Bradbury Anderson CEO of Best Buy sent, certified, restricted delivery with return receipt was received by him per return receipt but never answered. Customer service at Best Buy is non-existent. Honesty and good will are words they obviously don't teach. Out of pocket $500. Hope someone has more sense than to patronize this dishonest and uncaring business. I received the Insignia camera model NS-DSC7P09 as a Christmas gift last year. The camera display was blank when I turned it on and now it won't turn on. I called Insignia 877-467-4289 and the lady told me I needed the receipt. Advise that it was a gift. I still have the original packaging because Best Buy has to have that. Can't Best Buy scan the unit and see when it was purchased. Seriously this is a bunch of **. How good is a warranty if they won't stand by it. Very disappointed and upset. Don't purchase Insignia or shop at Best Buy. Our business purchased online a camera from Best Buy. Out of the box it did work. It would take pictures but we could not download them to the computer. We called (and we got transferred all around the place) for a return but were one day past the day for a return. They told us to work with Kodak. We called and had the same run around but they agreed to send us a USB cable. It did not work. We called Best Buy Customer Relations. We were told they could not help us because "you purchased it from Best Buy Online". The return policy is 14 days. Now we have a $150 dollar camera that is junk. The chances of a camera not working out of the box is so slim and Best Buy was very, very stand behind the 14-day return policy. They stink!! STERLING, VIRGINIA -- I bought a Canon mp620 printer from Best Buy on the 13th of June for $160+tax.. While surfing online, I saw that Amazon was selling the same for $99.99.. So I took my "UNOPENED" box back on the 18th of July but the store guy refused to take it back.. It was just a couple of days past their 30-day policy and my item was unopened.. I expected a little bit consideration.. These guys are terrible.. The products are overpriced and customer satisfaction means nothing to them.. I will never ever step in that store again.. I'm just so furious. NEW YORK CITY, NEW YORK -- I went to Best Buy on Broadway and asked for a price match. When I entered the store, the salesperson told me the competitor are B&H and J&R. Then she found out B&H was selling the camera $40 less. Three other managers came and they told me they'd lose money if I snatched the camera for that much less. For expensive items (the camera is $499 at Best Buy) they go case by case. In this case, they couldn't match that price. My brain froze for a minute but woke up again when they started to act extremely unprofessional and quite obnoxious. The three salesmen looked like punks... Stood and acted really weird. I felt extremely uncomfortable and left. I will never go to broadway best buy again. Number 1, they do false advertising and lie to your face with idiotic excuses. It was such a big waste of my time. Number 2, the sales people were bunch of rude and young punks. When I left they were laughing and shouting. I should have called the police on them... Shame on you Best Buy. For everything! Don't go there. And if Best Buy is reading this, please do us a favor -- send a manager to that store to sort these guys out!!!! !